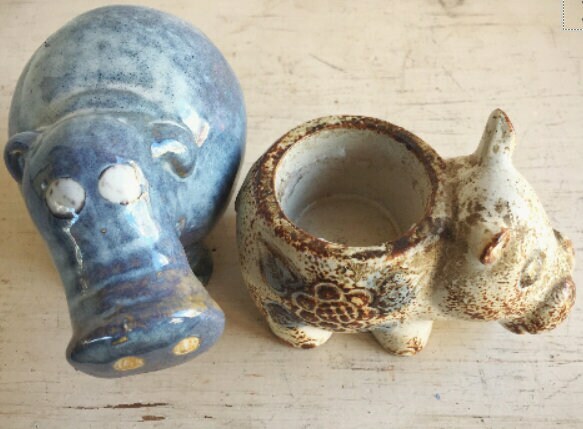 These pottery hippos are about the most adorable things ever. They don't go together yet met while each awaiting to be sold. With their similar blue hues, they became fast friends and a newfound family. 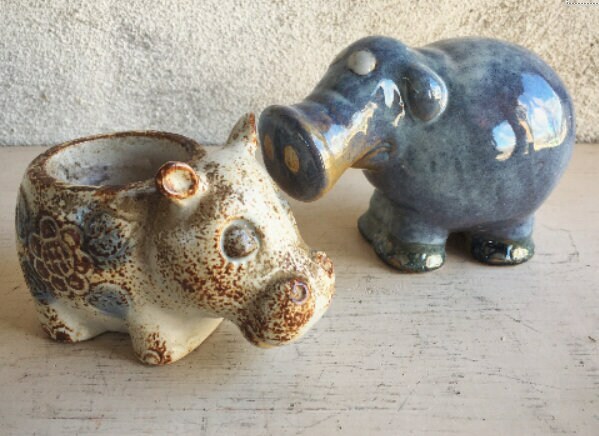 So I'm selling them as a pair, because if you didn't know, hippos live in herds. They really don't like to be alone much, and being only two together, they might get aggressive if we try to break them up. 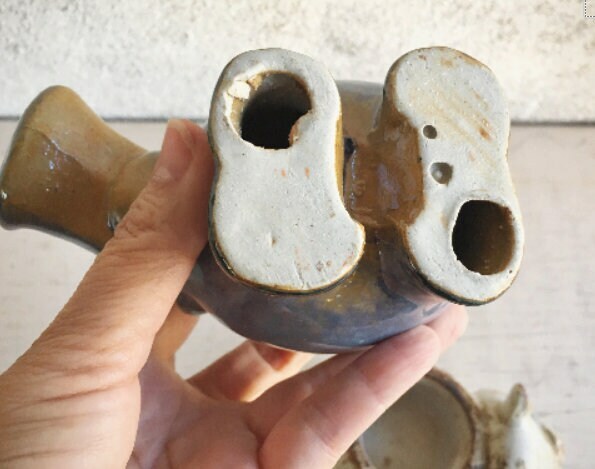 One of them is a votive candleholder, which is kind of cool. She can light up the night while the other just looks sweet. 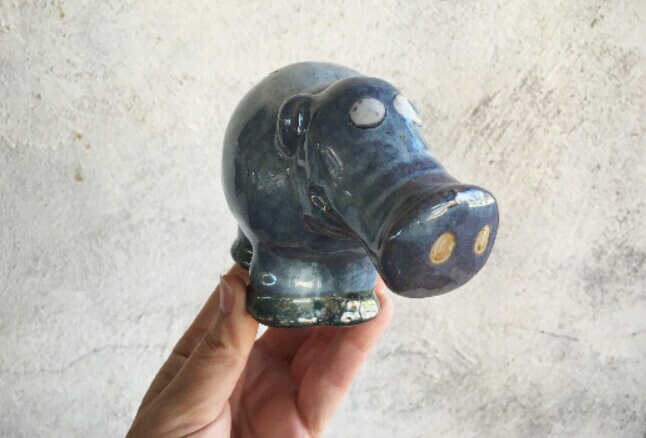 The blue hippo (not a candleholder) measures 5-1/2" across by 4" tall and about 2-3/4" deep. 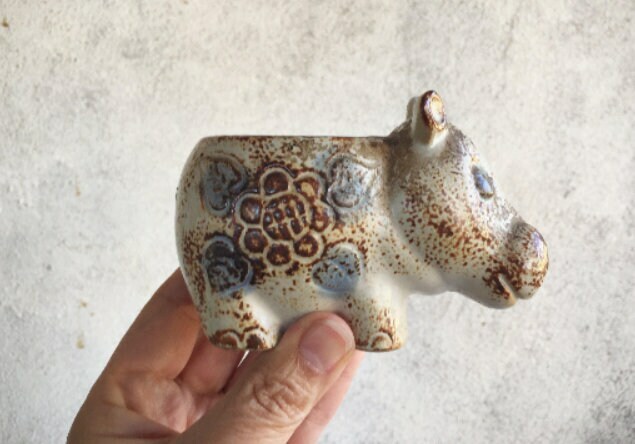 The beige hippo--who doubles as a candleholder--measures 4-1/2" across by just under 3" tall and about 2-3/4" deep. 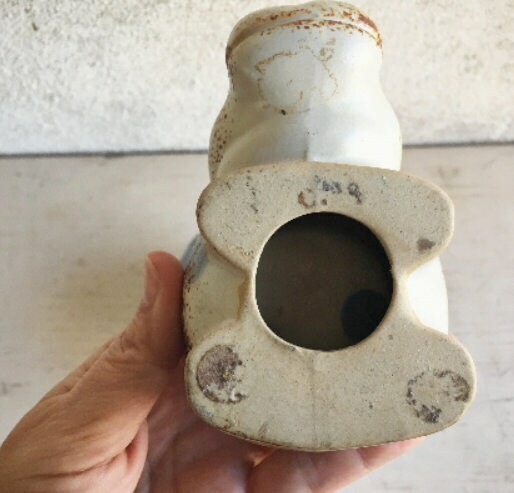 Both are in good vintage condition. 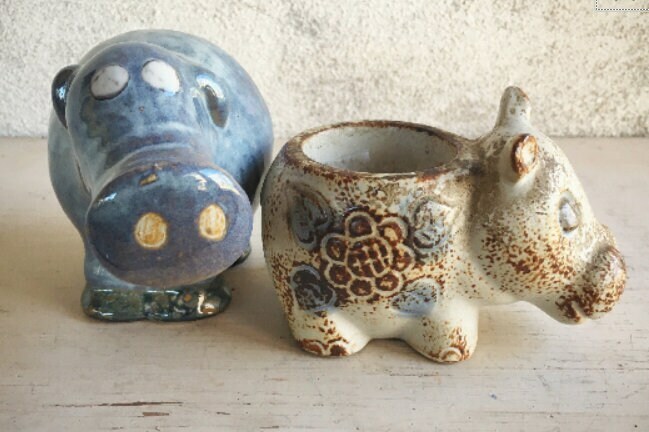 You'll be very hippo with your happies...I mean, very happy with your hippos!